Ross University School of Medicine has been providing students with the right tools to achieve excellence in their medical careers since 1978. The Ross medical school motto is “Dedita Scientiae Medendi” – dedicated to the science of healing. 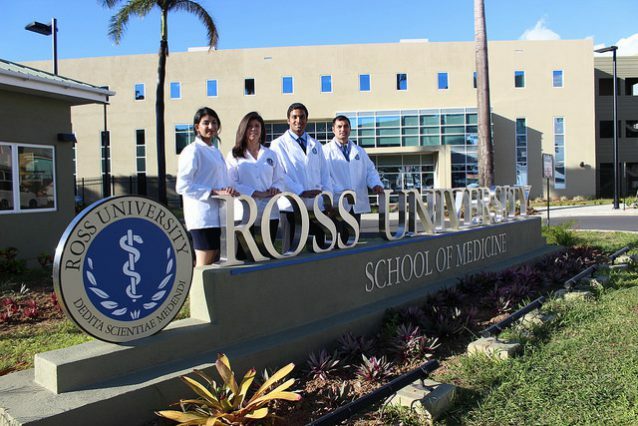 Ross is one of the most experienced Caribbean medical schools serving students. Admissions open in Ross University School of Medicine three times a year, in January, May, and September. Ross University School of Medicine main admission requirement is that all applicants should take MCAT (Medical College Admission Test). 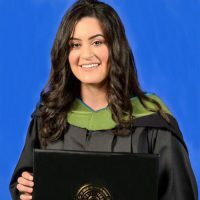 Applicants who have completed their undergraduate studies in countries that have an educational system different from that of the United States or Canada will be evaluated on their merits but will be expected to have completed a pre-medical curriculum comparable to that completed by US and Canadian students. Official transcript(s) from each college and/or professional school attended. At least two official letters of recommendation, which are confidential and become the property of Ross: At least one academic letter from a pre-medical professor acquainted with the applicant’s academic ability or a recommendation from a college pre-health advisory committee; a second academic letter or reference from a physician acquainted with the applicant’s healthcare work experience, if applicable. The second letter may also be a character reference from an employer or volunteer activity. All letters must be on appropriate letterhead with contact information included, and sent directly from the recommending party to the Ross Admissions Office. Medical College Admission Test scores. Official report of scores from the TOEFL, if applicable. $100 USD application fee (non-refundable). It takes a lot of effort to get into a medical school and it becomes even more difficult when the medical school you want get into is extremely competitive. No doubt, if you have made it to Ross University School of Medicine, you possess the intelligence and are truly dedicated and industrious. But well, there is a lot of unknown in medical school and it can be terrifying, frustrating, and infuriating and even the most hardworking students are confused in how to manage their studies with their extra-curricular activities. So here are some guidelines, based on the experience of Ross University School of Medicine graduates which will enable you to figure out what works for you and make consciences decisions to enhance your study process. This will help you in your time at Ross University as a student so that you can achieve success in your career as well as enjoy your time while you are at the University. Lack of formal guidance: At Ross University School of Medicne, some students feel a lack of formal guidance about things like how to select a specialty, which electives to choose to get the best exposure, the reality of healthcare provision in today’s market and the best way to prepare for residency interviews. Ross has a few handouts that they send out regarding these topics but they don’t compare to the worth of sincere guidance given face to face by someone. If there is a faculty member you admire or someone who practices in the field into which you want to go, reach out to them. The steps you take to forge connections will be crucial to your accomplishment when you graduate from Ross. Forming alliances with other students can also be greatly beneficial. Reward yourself: Find ways to reward yourself for all that effort you put in. You can go for a swim in the Caribbean, play soccer in the evening, or simply enjoy a good novel or a sunset run on the beach. Anything that can help you unwind and relax- do it. You can’t work non-stop every day or else you will simply burn out. Med school is a marathon, not a race.Take it easy, slow and STEADY. Dr. Najeeb Lectures: There can be times at Ross when you have to teach yourself. A lecturer may be terrible at delivering the lecture and will teach you something you need to know, without making you understand it, and will expect that it is your responsibility to master it. You will need to identify which study aids are of value. First, you can look for a TA session. The teaching assistant might be able to explain you a topic. But the drawbacks are that you might have time clashes with such sessions and also because the TAs are also students, they might not be as good at explaining as is a professional. Also, among the Caribbean medical schools, most students watch Dr. Najeeb Lectures. These lectures are loaded with hand-drawn illustrations, the material is often covered better and more thoroughly in these lectures than in the actual class lectures. The video library covers almost all the topics included in the current medical curriculum of Ross University. And you have a lifetime access, and with their apps available too, you can listen to them wherever and whenever. Dr. Najeeb Lectures, are the World’s Most Popular Medical Lectures, covering all the topics of Gross Anatomy, Neuro-anatomy, Embryology, Histology, Physiology, Biochemistry, Genetics, Pharmacology, Microbiology, Immunology and Pathology. Be responsible for things that matter to you. Stay on top of deadlines and handle as much as you can on your own. At no time is this more necessary than during clinical, when your being proactive can even make a lot of difference i.e. making or missing the match. When you will be responsible for your own self, scheduling will help you and get you thinking ahead. You should start making calls and sending emails about your electives. Also, compile a list of affiliated hospitals and their coordinator’s contact information, or, if you have connections, set up away rotations as far in advance as you can. Learn about long-term retention: You have to work hard every single day in a medical school. There is no way around it. You have to work hard every single day. But you don’t need to memorize things only. You should learn about long-term retention. This material is going to come back to the finals. And again in the USMLE Step 1, Step 2 CK and finally on Step 3. It will also be useful even during residency when you treat actual patients. Just remember that if you understand it now then you won’t have to study it again later. Clinical learning: No two medical students have the same clinical experience and your experience is what you make of it. The good thing about Ross is that it offers track programs all over the country. A track program lets you stay at one hospital for the entirety of your third year instead of moving around for every rotation. If you think there is always something more to learn and you are comfortable in a particular hospital, then you should stay otherwise you should move. 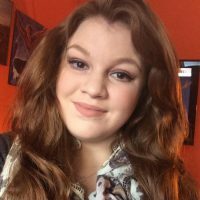 Persistent and perseverance are the keys: Many students at Ross University, like everywhere else, face the obstacles that every student coming out of an off-shore school will face but some challenges are uniquely Ross-related: island adjustment, lack of guidance and scheduling nightmares to name a few. Obviously, there are moments when you wonder how you would survive. But then with time, you learn that the key is perseverance. These things matter for a while but eventually, everything settles. So be consistent and determined and handle everything with patience. In the end, you will appreciate that Ross University touts itself as the medical school that gives the determined student a chance to reach his or her dream. So, don’t lose hope, keep our tips in mind, work hard and you will be good to go.